CV. Multi Mas Jual Electric Motor, is an electrical machine that converts electrical energy into mechanical energy. The reverse of this is the conversion of mechanical energy into electrical energy and is done by an electric generator, which has much in common with motors. Most Electric Motors operate through the interaction between the Electric Motor magnetic field and the winding current to produce a force. 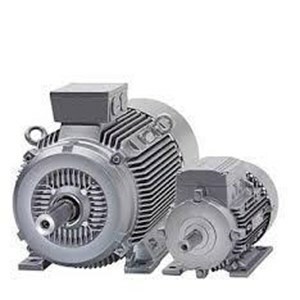 In certain applications, such as in regenerative braking with traction motors in the transportation industry, it can also be used in reverse as a generator to convert mechanical energy into electric power. The basic idea of Electric Motor is very simple: You plug the power into it at one end and the shaft (metal rod) rotates at the other end giving you the power to drive a similar machine. CV. 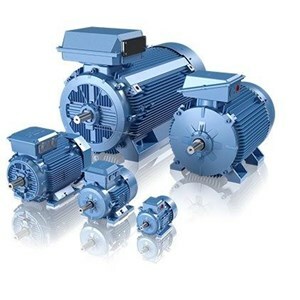 Multi Mas sells Siemens electric motor with low voltage motor, single phase and three phase motor. With this kind of Siemens dc gear motor, you can always achieve the highest level of efficiency. The Siemens motor system covers the entire range of synchronous and asynchronous technologies. From standard and servomotor electric motor systems to motion control applications including linear motors and torque to the motor for use in hazardous explosion areas, to high voltage, DC and customized electrical motor systems. CV. Multi Mas was established in 1989. Our company specializes in supplying machinery, mechanical and spare parts needs of every kind of industry like one selling electric motor. Ready to provide solutions to your mechanical problems. Committed to provide the best quality from all over the world with very good price. IEC Low voltage motors are suitable for all industries, all applications - fulfilling all national and international mandatory efficiency regulations. ABB offers two types of standard induction motors: Process performance and General performance motors.